178 customers have given this product a 5-star rating. 93 customers have given this product a 4-star rating. A very versatile mic, good on most sources. 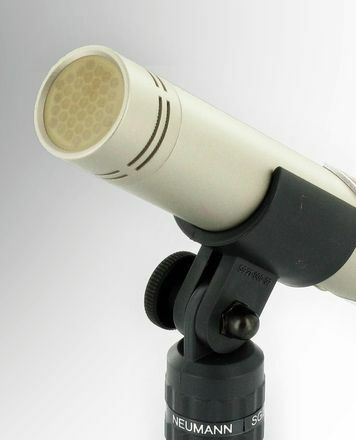 * It handles trumpets ok, but a good dynamic mic like a sm/beta 57 would be a better choice. * Used on saxophones, its actually quite warm and sound very natural. * A trombone becomes a bit thicker with this mic, cool for big band. 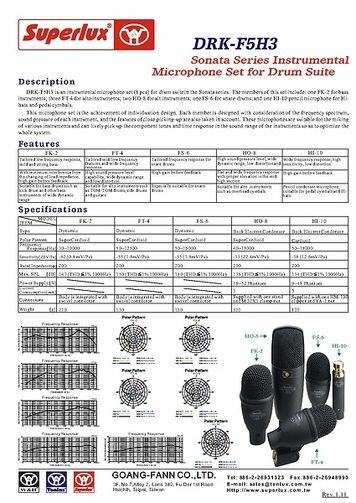 * I decided to try these mic's after hearing the acoustic guitar sample on Thomann website. * To my taste, I got better results using ORTF technique, rather than X/Y or spaced pair. * Superlux is marketing this mic as a hihat mic, which it does just as it says on the box. * As overheads, these can be a little too focused. A little shelving off the top-end, and gain before feedback is quite good - especially for a jazz setup! * There is not much noticeable difference between a SM57 and Hi-10 on a snare drum in a live setting, but it gives just a little more of the stick, rim and brushes for free - as any good condenser mic would. * The Hi-10 might work on some soft female vocals, but it is far from the optimal choice. If this is the only mic you've got - well go for it, but pops are virtually unavoidable. * As a spoken word radio mic, the Hi-10 might be cool due to the added bass response at a close distance, but as said before - it pops really easily, so the use of a multi band compressor like a Waves C6 is required to get a usable signal. * This I haven't tested, but maybe it's a good choice as an overhead choir mic - you would probably have to suspend about 15 of these for it to work, but still.. they are really cheap (at the time of writing). * The proximity effect of Hi-10 is quite fun and usable, as the mic produces a whole lot of more bottom end, than similar small diaphragm mics. This is a GREAT mic!!!! - It hears everything and there is no problem for all frequencies!!! - I used it many times and did a great job! - At live perfomance, if you set its channel volume to a level a little bit lower than the level that it starts to feedback then you will have so loud and crystal sound which your audience is going to love!!! 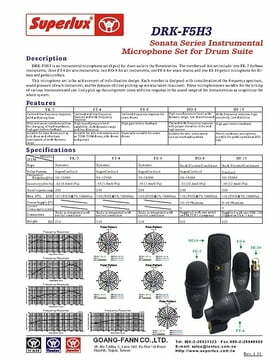 - Excellent for all the kind of organs, guitars, violins, trumpets, drums and even for theater purposes!!! - Depending of the stage and the concert place, for live perfomance, you can low a little bit one or two frequencies, using the parametric eq of your console or from external eq and then you can increase the channel's level even more in order to get an even more strong signal and the sound remains great! - I managed very easy to get a great strong signal from 8 mandolins using 2 of these mics at a live stage with monitors on stage without feedback at all and the mandolin's sound in the hall was very very strong despite that the mics were about 1,5 meters away from the mandolins! Behind the mandolins were a 50 person choir with some mics, a soloist with a dynamic mic and a keyboard so I had to have a strong signal from the 8 mandolins in order to be heared clearly!!! (The mandolins were situated on the stage at a half circle for every 4 of them so I had 2 teams of 4 mandolins each. - Its price is too low for what it can do!!!  ID: 118650 © 1996–2019 Thomann GmbH Thomann loves you, because you rock!